lately, owen and i have been enjoying the struble trail. at 10am, almost every other day, i pack him up in his stroller and run as far as i can until he starts climbing out and whining. i get about as far as a mile, and honestly, i'm winded.... he gets down and we start our walk back to the car. 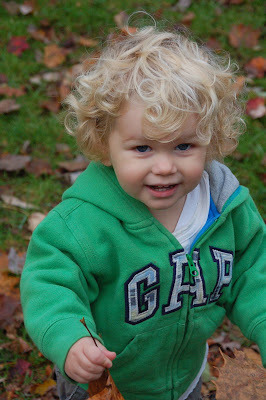 the entire time he is chasing after leaves or finding acorns to put in the bottom of the stroller. i love the fact that he loves being outside so much. it will be interesting to see how he does when it starts getting colder!